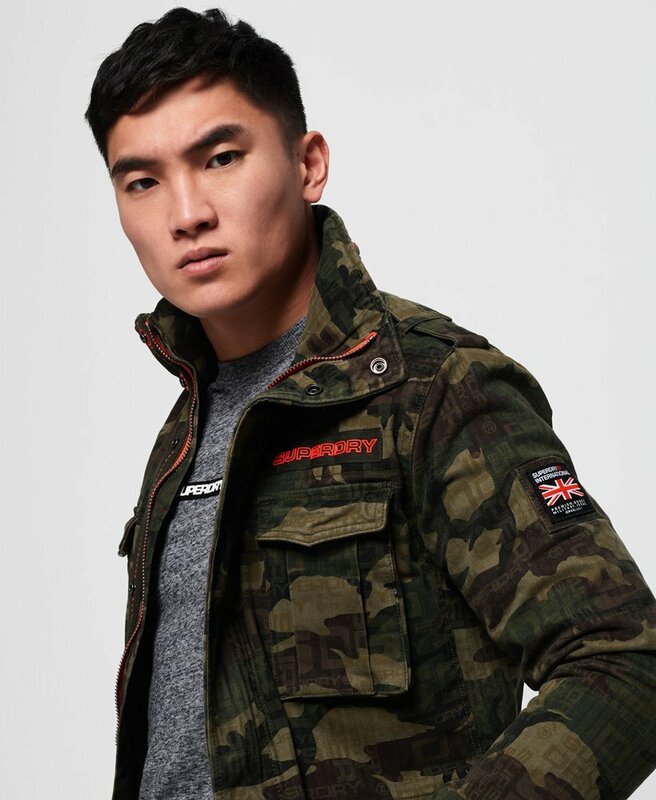 Superdry men’s super script rookie jacket. Spice up your jacket options this season with this super script camo jacket, a key on-trend piece that is needed for every wardrobe. It features a zip and popper fastening, six handy external pockets and one internal pocket, a quilted inner lining and a drawstring waist. In addition, this jacket has popper cuffs, epaulettes on the shoulders and a faux hood zipper on the collar. The detail in this jacket is second to none, with Superdry badges on the arm and chest, a Superdry patch on the pocket, a large Superdry logo printed on the inner of the jacket and a Superdry branded zip pull. For a key look this season, partner this jacket with jeans or cargo pants, boots and an oversized tee.